Thanks @Milo_Blue_Eyes ! We will take that into consideration. Milo, I wish that problem could be fixed. The pups and kits can't see each other in those groups which have both pups and kits as members. Rosco & I have that problem in Pets That Love Fun and in All Paws. Yesh I know Ætheling Rn't U a Prince too? I see whar da Admins r considerin' changin' dis. I really do miss seein' my pup pals postz. We played in Cat & Dog Plaza alot 'n dat iz whar Luigi 'n Smiley hang out. we see'z dem ofur at P4P whar I haz a Malt Shoppe wif three threads. I doez cook good~! Yep! It'z really hard to find groups an dey iz scattered 'bout 'n iz not eazy gettin' round here. Seemz like da threads r jus' here 'n dere 'n efurywhar.I know time will improve thingz. @CatsterAdmin, you really need to change the setup for the home page. It's confusing and frankly not very inviting. Members come here for the first time, look at the home page and think it's "just a bunch of forums" and don't stick around. No wonder, when the first thing you see is a long list of discussion threads in the middle of the page. The "Groups" link is off to the side with some other links and hard to spot. Groups are an important part of the Catster Community and that needs to stand out. You really need to create an attractive home page like we had before if you want to draw people back. Another suggestion - please get rid of the orange all over the site and find another color that looks more attractive with the purple background (which I like). Yasss, jus like Milo said! 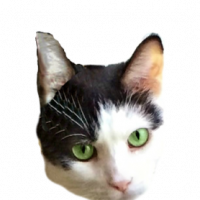 We really miss Cat & Dog Plaza, n AP1 Wee do have some doggies, but pa nefur wanted dem to be on social media, so ameowmy never registered on Dogster. Now we can't see or talk to many of our Pals da way we used tew, which makes us sad. Also we agreez wif what many have said about too hard to sign in and out fur a many cat furmily, n will be hard to navigate da welcome pages wif many cats, tew. We would love to have diary, this was a way to let others know what is going on and they could comment. Having page for each of our fur babies. We all know OC, was special we would just like to see some things back that we all love even if a different setup. Kody and furmily, I think the diary idea is being discussed over at Dogster. I don't remember exactly what was said, but pups are asking for it. Milo, yes, you remembered--Ætheling is the Anglo-Saxon word for a prince, the heir to the throne. And I always acted like I knew that when I was on this earth! I'm glad that the admins here are listening to us and responding and making changes for us. It's so great to have them interested in creating a site we love. Thanks all! We will keep everything in mind. 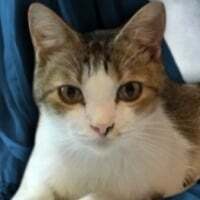 Regarding diaries, you can continually comment on your pets’ welcome posts as though they are diaries. @catster cool I like how when I am in Catster, I can click on Dogster in the upper right corner and it will take me there in a new window, instead of having to physically pen a new window and tying in the address. I also like being about to tag other members! The group pages seem to be working better now, but visually, they are very dull. On old Catster we had beautiful seasonal background pictures for our group page. Is it going to be possible to add them here? Regarding diaries, you can continually comment on your pets’ welcome posts as though they are diaries. We're hoping you can find a better solution for the diaries, but in the meantime, can you give us an easy way of identifying the owner of the thread - the person who started it? When you scroll down, you can't see the title of the thread except for the first few words on the browser tab - but not everyone posted their name in the title. 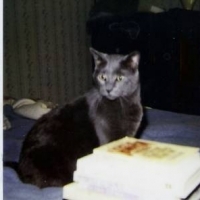 If the gray box behind the thread's owner/originator could be a different color - say, Catster Green maybe - then you would know immediately whose "diary" you were reading. @Rufus that's a good point. I can ask about that. What a profound disappointment. You've created a bare-bones version of Facebook--or of the old chat rooms I used to use in the 1980s. The Catster Community was visual, with photos and gifts and family groups and friends and decorations. It wasn't just strings of text. This is so sad! Unless the community returns as a darn-near replication of what it was before, I won't be back. 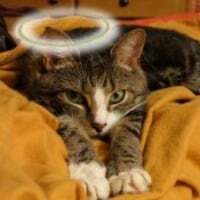 I think of the work that people did to honor their cats--many now deceased--over many years, and now it's all gone. I'm sure it takes up a lot less server space, yes? And that's the motivation, I'm sure--to stick with only text strings. You have completely missed the point of our community. 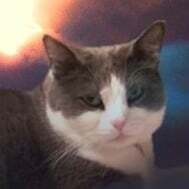 I find it interesting that you are talking about all the cat pages that are now gone when I remember being sad when you deleted the original pages of Tess and Aldo that their previous Mommy set up. I always felt those pages should have been left as a memorial to her. Such a sad replacement for the old Catster we all loved. I was hoping it was going to be something we would want to be a part of for another ten years. Seems our profiles were not a priority here at all, just a inconvenience for the tech team and new owners. Thrown away not to be revived even if we wanted to. 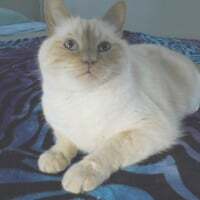 so I just rejoined (forgot my pass word, as it is Maynard's birthday..and I wanted to see old photos of my M-Cat family --but where is the gallery? I ca't find any of my fur family pages? help me please? @CatsterAdmin we are sad because our doggies and kitties can't play with each other! 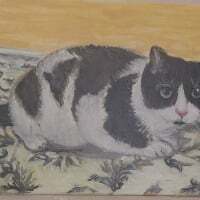 Iz gettin' lil bit eazier ta getz round here~ We can do a diary in our Welcome profiles pagez. 'n post picciez o' us 'n our furmiliez. 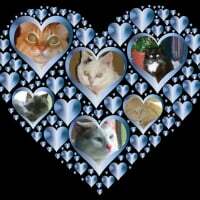 Dat'z rather kewl~ Mom don't doez HTML so can't make our page purrty er anythan'. Anyfur it'z really goo' ta see'z all o' our furiendz in one place we missed so many o' dem, when Catster went down 'n efuryfur flew to other area'z ta purrlay. Like @Calvin 'n his furmiliez whofur we lovez so mush. 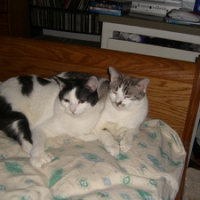 'n @The_Desert_Kitties too! Dat'z to true, @Mayhem we hang out at a few other placez but mom don't doez mush rite meow on social anyfur. Can'tz look at worrdagez too much neither too. Just saying we all hope we can do more than we can now. We are thankful for all that you are doing here and do hope it will improve shortly. 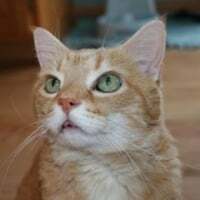 I am also on United Cats/Dogs, if you can in anyway go see what they do it may help with things we could possibly do on our pages. Yes we loved decorating our pages, I have learned that on our profile pages I can put pictures, images and write a few things too. We do have a separate diary that we can also put in images and pictures. They do have backgrounds, but you have to choose from a list. We have cat and dogs of the week, they are actually king or queen of a country. There are club, not as active as catster/dogster, some are. Yes it is different, but even something like what UC/UD has would even be better than nothing like now. 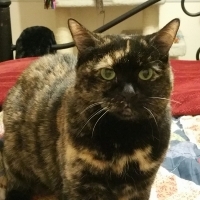 Here is the home page of United cats for you to check out, My angel Tallulah who many of you know and my page, yes I get a page too. Please, please, please @CatsterAdmin we want to be able to play with the doggies, too!! !